The prevalence of those with human immunodeficiency virus (HIV) infection and acquired immunodeficiency syndrome (AIDS) is higher among inmates of correctional facilities than among the general population. This raises the need to identify inmates living with or at risk of HIV/AIDS and to provide counseling and appropriate survices for HIV treatment and prevention. The Maryland Division of Corrections (DOC) offers voluntary testing to all inmates on entry and tests inmates when clinically indicated. We reviewed all 1998 HIV antibody tests and confirmed AIDS cases in the Maryland DOC. Inmate demographics, testing acceptance, rates of seropositivity, and AIDS cases and comparisons based on gender, racelethnicity, and age were examined. Comparisons were also made to HIV testing and AIDS cases from the nonincarcerated Maryland population. Trends in DOC AIDS diagnoses and AIDS-related deaths over time were also examined. Of the inmates, 39% were voluntarily tested for HIV on entry to the Maryland DOC in 1998 (38% of males and 49% of females). Overall, HIV seropositivity was 33% (5% for females and 3% for males). The 888 cumulative AIDS cases diagnosed in the DOC inmate population were concentrated among males (90% vs. 77% statewide), African Americans (91% vs. 75% statevide), and among IDUs (84% vs. 39% statewide). Due to high rates of HIV and AIDS, inmate populations are a crucial audience for HIV/AIDS testing, treatment, and prevention efforts, especially women. 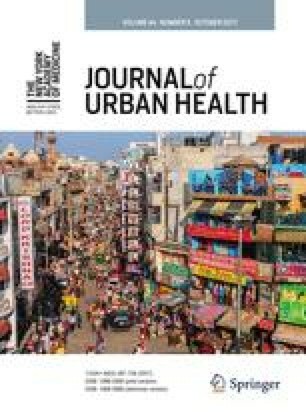 Prison-based programs can identify significant numbers of HIV and AIDS cases and bring HIV prevention interventions to a population characterized by frequent high-risk behavior.